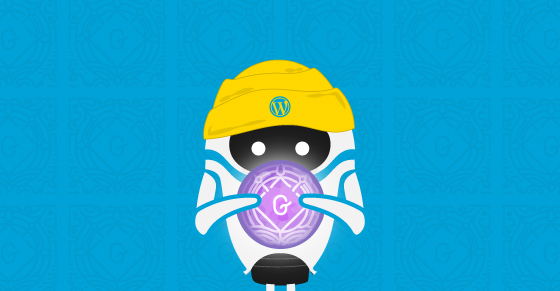 Before we get going I’d just like to remind you all that the advice offered here by us for Golam, and for the rest of you WordPress product owners out there is based on data we have captured from hundreds of WordPress plugins and themes during years of experimentation with the various products in the ecosystem. Remember that our sole intention with this is to try and help WordPress products sell better than they currently do. 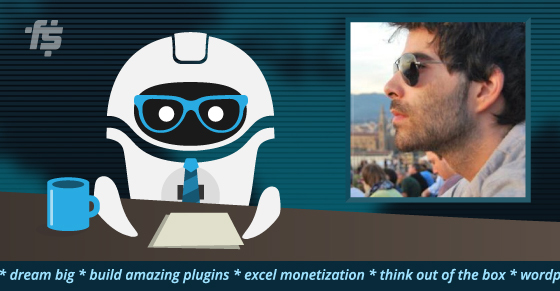 This plugin provides a way to showcase the team members behind a company on its website. It is capable of showing the member’s Image, Name, Designation, Social connectivity links, etc. It can be displayed anywhere on a site using a shortcode or a widget and it has various settings options with more than 20 templates. 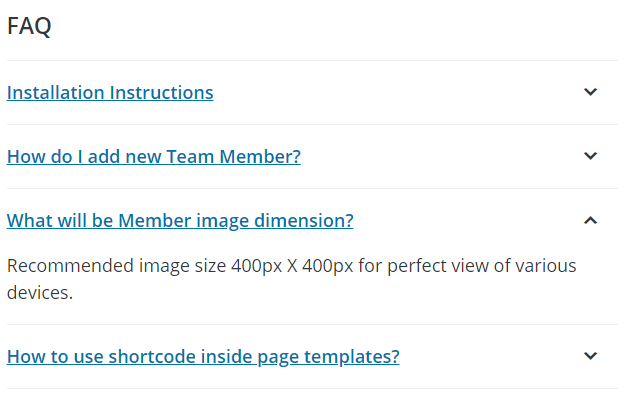 The first thing that stands out when you visit the ‘GS Team Members’ plugin page on the official WordPress.org repository is the fact that the hero image that has been chosen to represent the plugin is a little too generic-looking and does not reveal much about the value this plugin brings to the table. It would be better to focus on 1-2 team members’ profiles and “zoom in”, to be able to actually see what’s going on, instead of having multiple small photos that don’t necessarily help get the best impression. 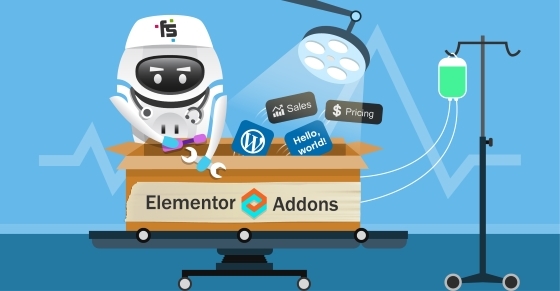 In addition, the hero image includes the logo and name of the company that’s behind this plugin, but not a custom product logo… This page is a plugin page and everything about it should focus solely on promoting that specific product. A hero image is eminent and super-important for the 1st impression visitors may have on your product, and if it doesn’t necessarily help them understand what it does, or at least makes them more excited about the product than it’s not achieving its purpose. Right after the plugin’s description paragraph, we get a video. That’s actually a great call! With that said though, in a perfect world, that video should preferably be a short explainer video that’s optimized for more conversions & installations. The problem, in this case, is that the video we encounter as part of the plugin’s description is actually a 6-minute long installation & usage guide, which demonstrates the entire configuration process. Of course, potential users need to see that too, but this is too soon for that. 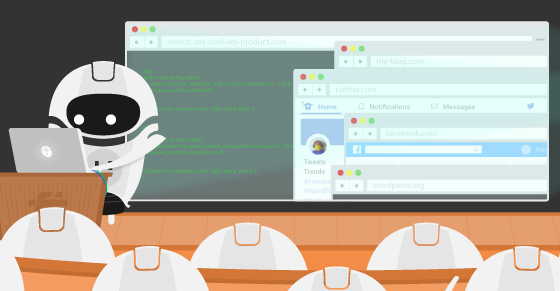 First, you want to get them excited about the product and feeling like it is valuable for them so that they’ll actually want to watch a configuration/how-to video. 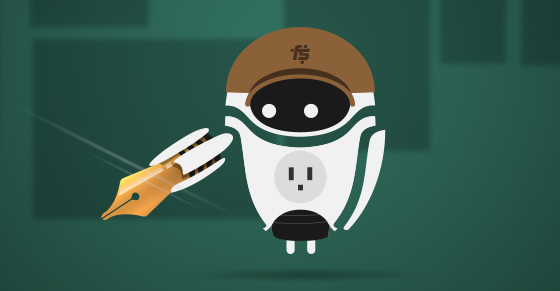 The best way to do that is through a short, well-made explainer video. Your more technical screencast should preferably appear under the “Installation” tab, or even further down in the description. Alternatively, Golam could have simply placed the great GIF animation slider that he has further down, which demos what the final result looks like, instead of that 6-minute video. This will serve as an explainer and will help get visitors mentally on-board. The FAQ section on the WordPress.org page of the free version is great, as it answers concisely all of the immediate questions that sprung into my mind as I was researching the plugin. Remember that any additional, more case-specific questions can always be asked and answered on the support forum. There’s an unfortunate grammatical/type error at the beginning (should be: “Thanks again for buying this plugin…”), which is important to pay attention to, because it’s things like these that may get your potential customers concerned about the level of professionalism you employ into your code writing too. Moreover, I’m wondering about the actual necessity of this. If I’m thanked for already having bought the Pro version of the plugin then there’s no real need to direct me to the product’s landing page, right? The idea is simple: every element you choose to place on a page needs to provide value by optimizing towards a better conversion rate, as it is competing with the other elements on that same page. This is especially true when links are involved! When a visitor is on a certain page you would do well if you imagine yourself in their shoes and try to anticipate their desired next move. In my opinion, if they’ve already purchased the plugin then purchasing the plugin again is not on the list of their probable next steps. It would be better to think of an alternate CTA, which would provide value for newly acquired customers who may be wandering around, looking for certain things. Since this plugin is very visual, the demo page is a great idea which helps better grasp the plugin’s capabilities, but I would also like to see an updated collection of links to live client websites, where the plugin can be seen actively running and doing its thing. A portfolio of sorts, if you will. That would help increase the plugin’s credibility, as well as give possible ideas for how to customize it for potential scenarios where the ‘GS Team Member’ plugin can be useful. When only displaying a “PURCHASE” button, without exposing the prices somewhere first you’re missing out on the opportunity to use a pricing table, while a pricing table can easily serve as a vital means to help increase your conversion rate. The biggest issue with not including a pricing table on your product’s website or sales page is the lack of transparency. Slapping a big old “PURCHASE” button on there, without any indication of what to expect once I click it is pretty scary! Some visitors may refrain from clicking it just for the fear of getting instantly charged for a product they’re not yet certain they would like to purchase. Stating which plan should be considered for which type of user is a very smart move. First, it comes off as fair & honest on their part, as they inform the typical site owner that the Personal plan should suffice and that there’s no need for them to purchase the pricier Business plan, which is aimed at developers or agencies. Second, it’s just plain helpful for any potential plugin buyer who’s trying to compare and understand the discrepancy between the different plans. When someone can see all of the payment plan options you have in place, one next to the other, their initial perceived investment may be lower. In other words, it could make potential buyers think that their expense is going to be more moderate than it ultimately might. Why? 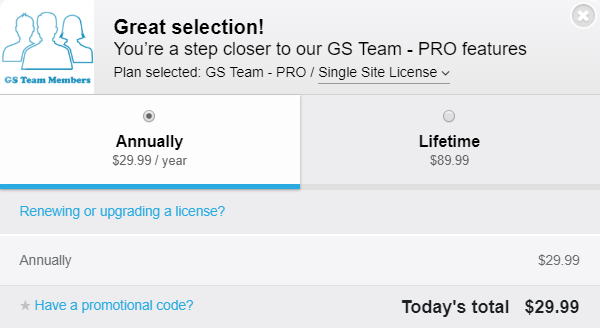 For the sake of the example, let’s say your product offers a monthly plan (even though in this case ‘GS Team Members’ does not) it is likely going to be priced lower than your annual plan, making it more likely to get tried out by users, rather than having the entire product avoided, due to its usually-higher annual or lifetime options. 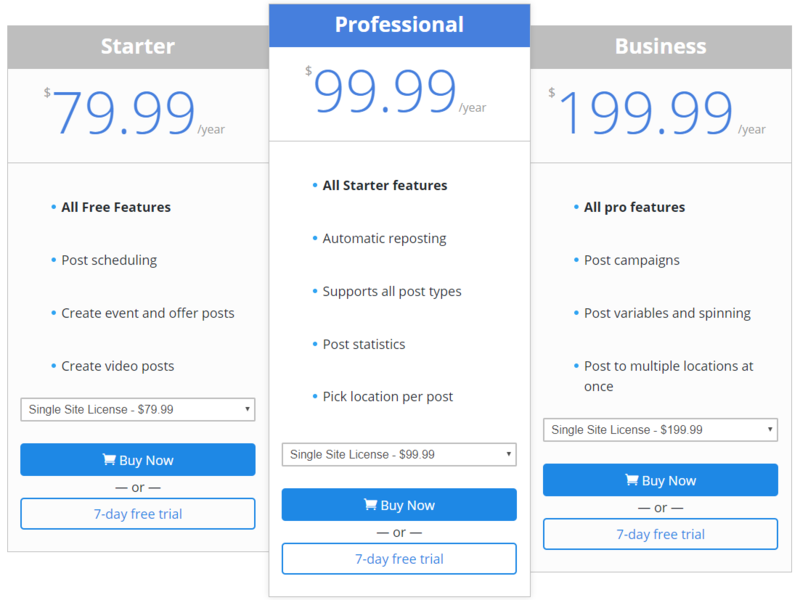 As a rule of thumb, it is going to be easier for a potential client to commit to a low amount like $3, in order to be able to test out the premium version for a month. 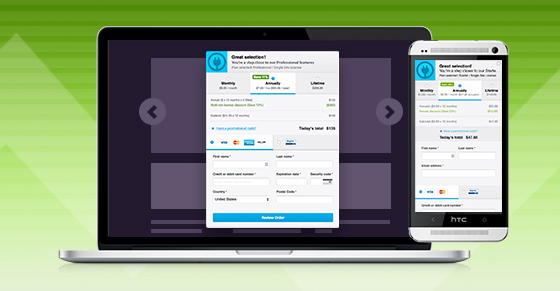 With the monthly option in place, you’ll also be able to offer a discount for the annual license, making it slightly more desirable and increase your overall conversion rate. It’s at least worth experimenting with. When you position the features right next to each plan, it allows you to use them to differentiate each plan and to potentially ask for more money in return for certain included features. When you’re not presenting a pricing table at all you’re missing out on this very commonly used method. When you present a pricing table to your potential customers you will likely be increasing your CTR, just because it provides you with additional spots (a purchase button next to, or under each plan on your pricing table) through which users can move down your sales funnel and proceed to the checkout. I think that the thought behind this move is great! 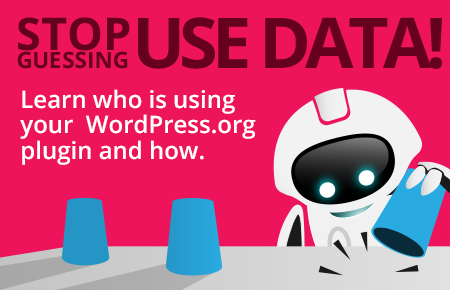 Most WordPress users and very familiar with the interface on the official WordPress.org plugin repository as they use it pretty often. So instead of forcing the user to adapt to an entirely new user interface on your website – GS Team Members is actually trying to reduce the friction by appearing friendly right out the gate, due to the already familiar UI. Things like your product’s reviews, screenshots and your comparison between the Free version and the Pro one shouldn’t “hide” behind a tab. Rather, the should prominently be displayed on the page, so they can achieve their desired effect to the maximum. The idea is to figure out what is the “journey” we want to take our visitors through, in order to increase the chances of them finishing it at our checkout screen. Once we know exactly what they need to see and where they need to go through to increase the chances of that happening – there’s no reason to leave it to chance or luck. Unfortunately, when using the dreaded tabs UI – that is effectively what you’re doing because you can’t control whether a visitor is going to open a certain tab and “unhide” the content you’ve placed inside it. 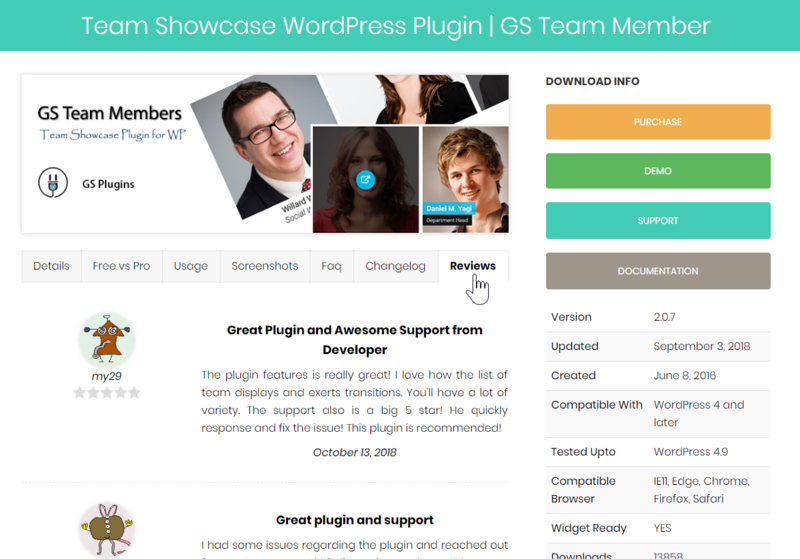 The ‘GS Team Members’ plugin for WordPress websites is a visual product with a very specific purpose – showcasing team members. In that realm, it is very focused and Golam has done a great job with the way he implemented the sales funnel on the website. With that in mind, I would encourage him to take the suggestion & recommendations expressed here into consideration for his optimization work. While our advice is based on years of studying the field and gaining experience while selling hundreds of WordPress plugins and themes in the WordPress ecosystem it is still Golam who knows his specific target audience and market best, so there’s nothing wrong with doing some A/B testing to find out what actually helps convert your visitors better!